This theme-y cooking stuff is for the birds! 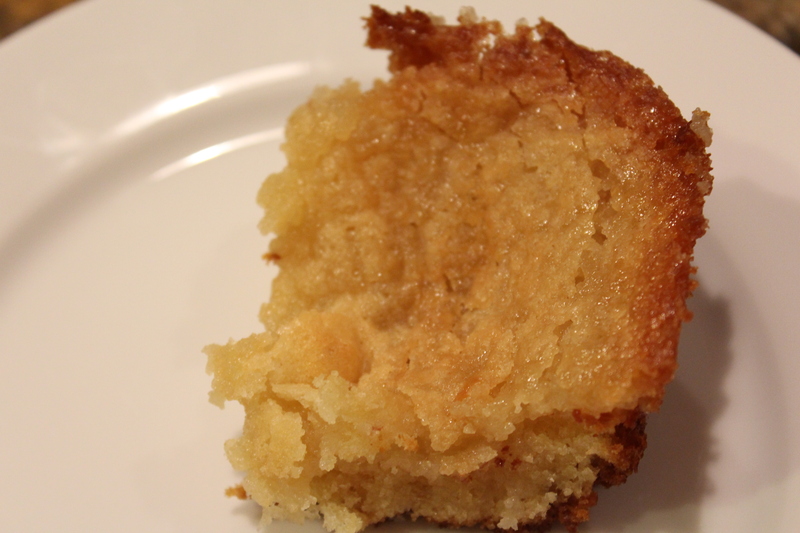 I’ve lost two weeks in a row now at fantasy football, and I blame it entirely on my wanting to be all matchy-matchy with London and fish’n’chips, and that the Pats played St. Louis in London, so I made this gooey butter cake. I really shouldn’t be all that disappointed, because I don’t have any money running on this fantasy football thing, and I found myself a legitimate an excuse to make this St. Louis original. It’s amazingly good tasting. I’d never heard about the cake until I stumbled upon it looking for origins of recipes in New England, and something about typing “New York” and classic/traditional recipes led me to New York Times recipes. The best take on it that I found was on a local gal’s blog – she’s only 20 minutes north of Boston! She had the best pictures I could find to direct you though the mixing, too. It’s got that creamy, amazing texture that I miss SO MUCH about peacan pies. It’s FULL of butter. Really, it’s an amzingly brilliant, dense, creamy, buttery, chewy slice of you know what, mmm-hmm, right to the hips! It’s yeast based bottom half is offset with the corn syrup (yes, I had to talk myself into buying it, and had the hardest time finding it in the grocery store…) and almost the same exact ingredients on the top layer. Bizarrely simple, and yet so… bad for your arteries. Confectioners’ sugar, for dusting – which I forgot to do, I just stuffed it in my face…. 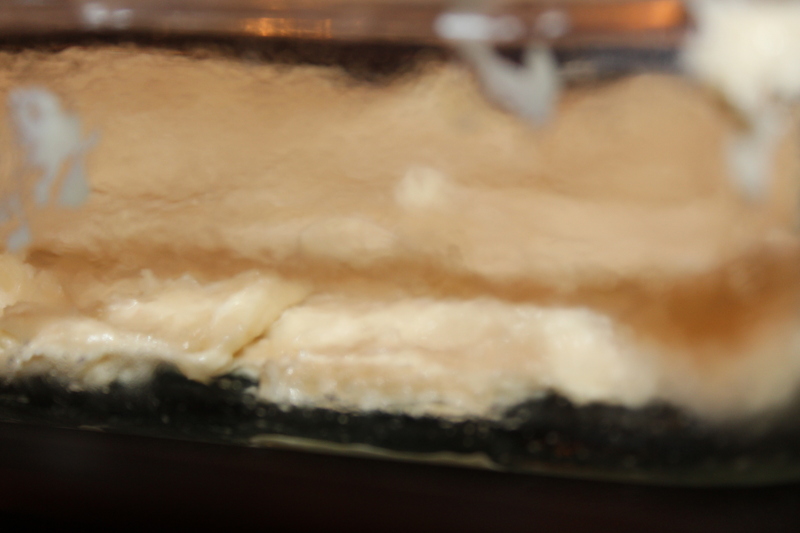 Lightly grease a 9 x 13 inch glass baking pan. Set it aside. 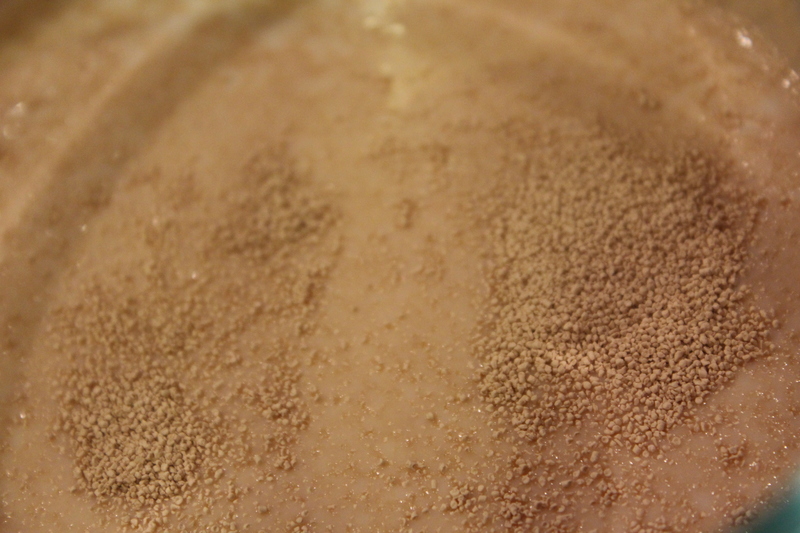 Get a small prep bowl out, in it put the milk, yeast, and water mix. Five minutes, you know the deal. In your stand mixer (or if you have serious forearm fortitude, go for it by hand…) place the butter, sugar and salt and beat until combined. Add egg, until combined. 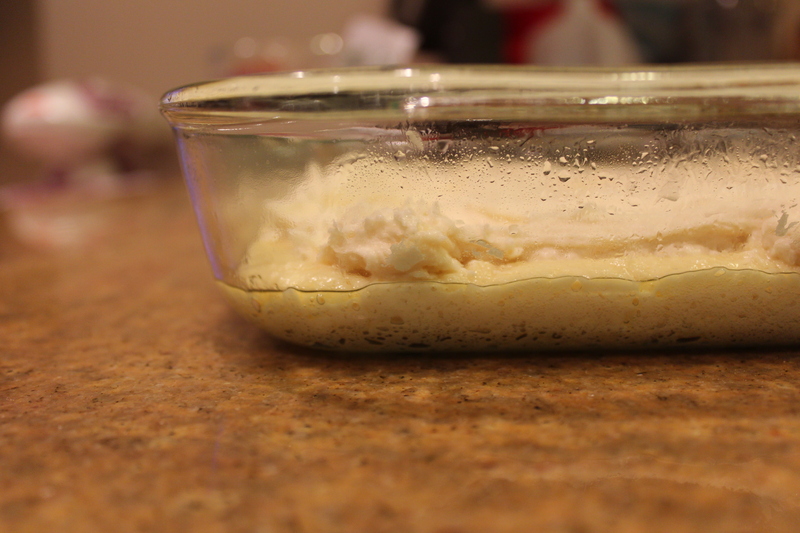 Then add flour, and while mixing on low add the milk/water/yeast mixture into it. Beat until it looks smooth and pulls away from the bowl a little bit. 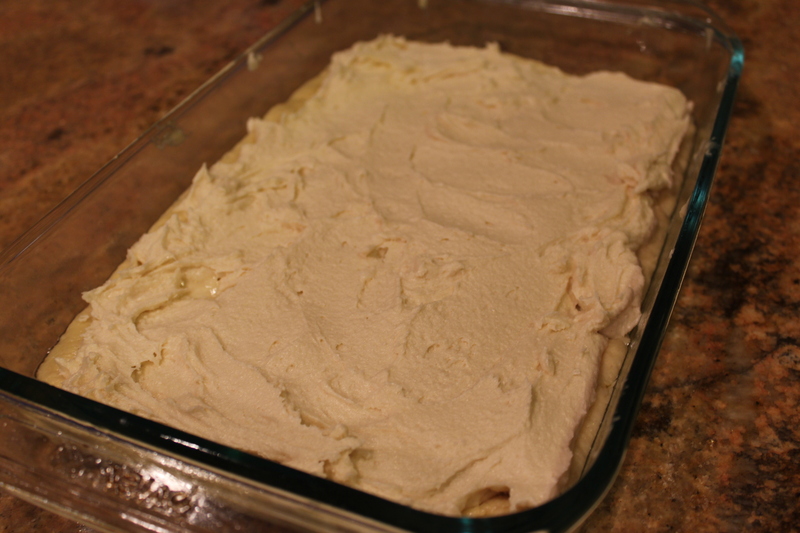 Take your greased pan, and spread dough out by hand until it covers the bottom. Find something else to do for quite a while, because this takes a really long time to rise. Cover it with plastic wrap and let it sit for 2-3 hours or until it’s doubled in bulk. I suggest doing some dishes, so that you can use the same little prep bowl over for the second part or… “icing” if you will. After you preheat your oven, get that small prep bowl mix the corn syrup, vanilla and water together until it’s combined, which only takes a few minutes – even though corn syrup is freakishly thick. 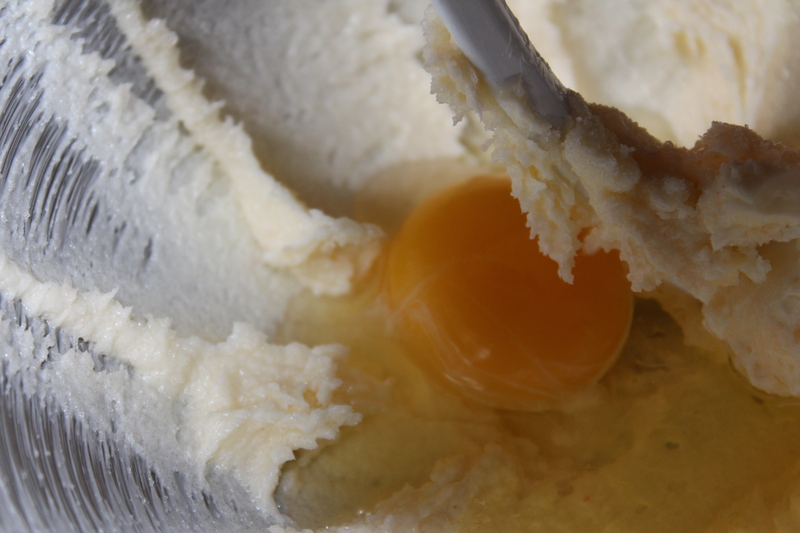 In your mixer bowl, beat sugar and butter – until combined. Add an egg, and then flour. Déjà vu all over again, amiright? Mix on low while adding the wet ingredients. Beat until totally combined. 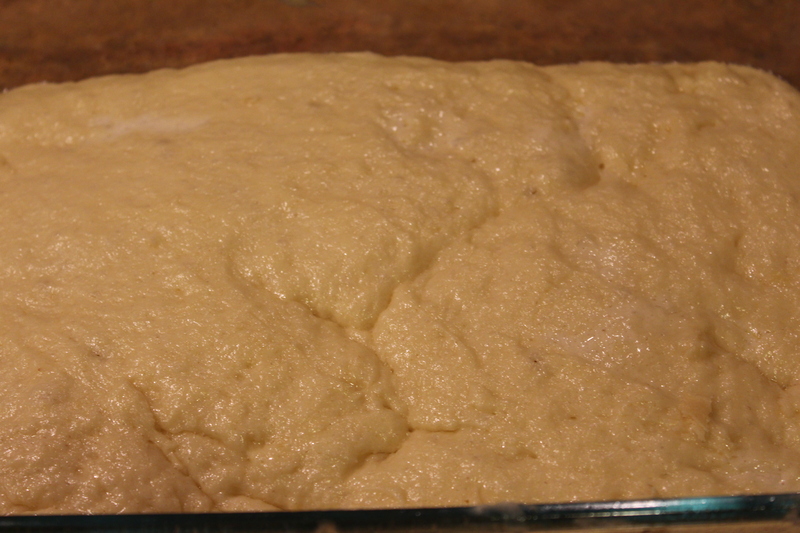 Add in clumps on top of dough, and carefully smooth out as a second layer. 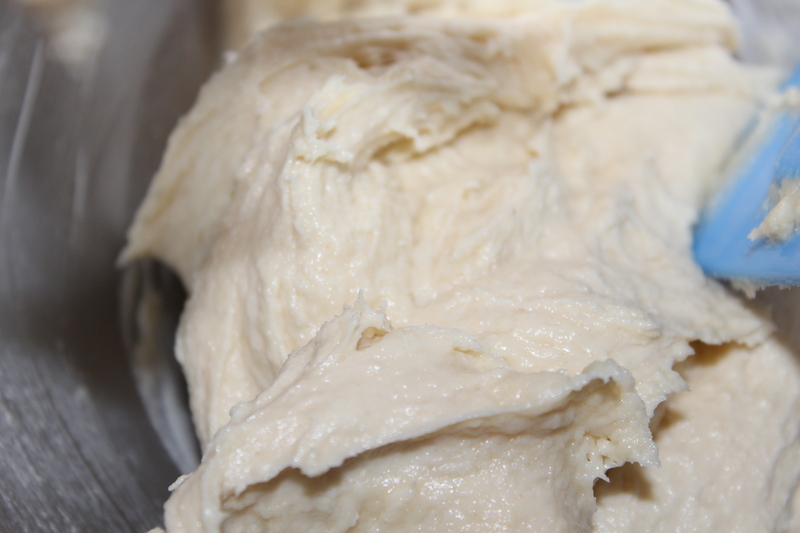 Try not to knock down the yeast dough down too much with this “icing” level. It seems a little hard to do, but with a wide spatula, and a light hand, you can cover one with the other without pulling at either one too much. This is what the two layers looked like before I baked them. Bake for about 40 minutes or until it’s getting good and golden brown on top. It’ll look a little dimply in the middle. The edges will be nice and golden brown and a little bit crispy. Oh my, this sounds and looks delicious. Your description is so vivid I can almost taste it. 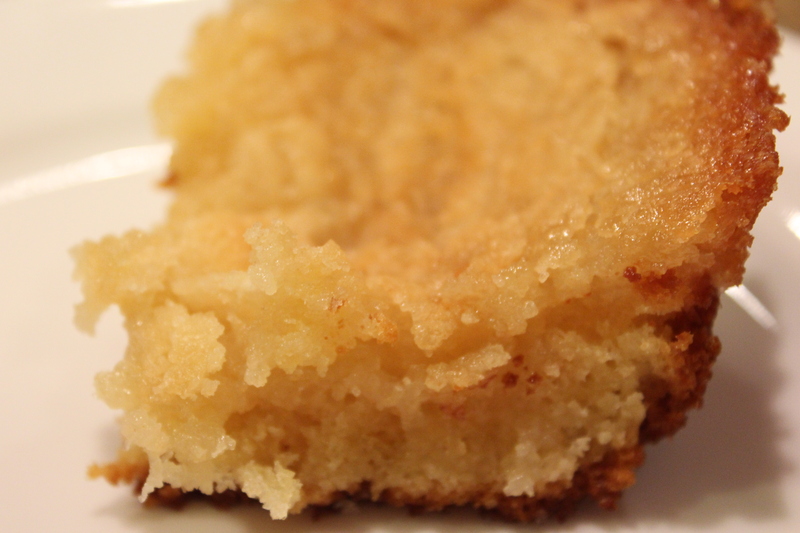 I love a gooey butter cake. What a wonderful recipe. Definitely worth the wait to have it rise for 2-3 hours. Its an amazing cake. Sad to say… I ate almost all of it myself- next time I plan on following my own good advice and get it out of the house ASAP! LOL!! well I probably would have done the same thing, It just looks so good. It’s amazing how quickly things can disappear when you take a bite here and there. Congrats on a great recipe and yes it looks like it totally worth the 2-3 hour wait.